Lucky me! I was strolling along the main drag here in San Clemente, and I stumbled upon a little mom-pop cooking store that had some nifty items on sale. 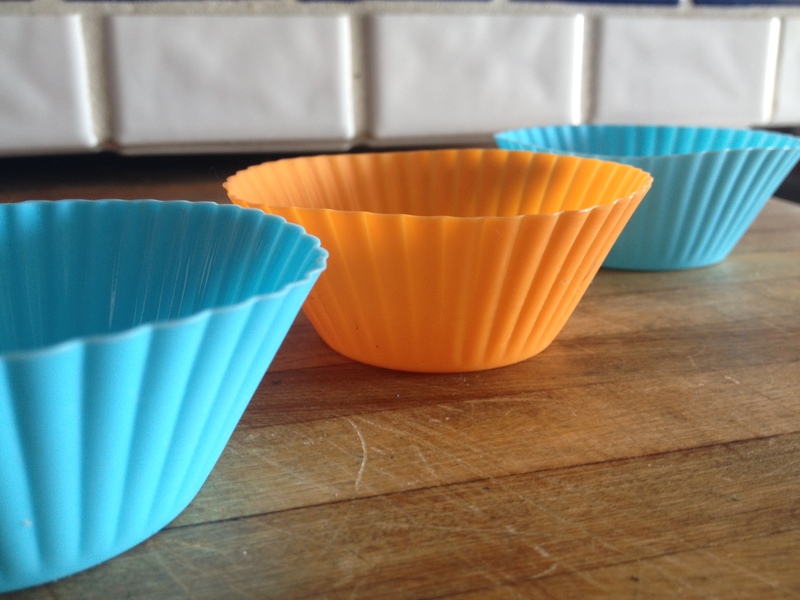 To my delight, I saw a little box of silicone baking cups. I kid you not, I’ve been desiring a set of these for over a year. Why did wait so long? I don’t know. I guess when it comes to making purchases, I tend to take a more serendipitous approach. I like being patient for the whole “right place, right time” scenario.This logic falls apart when I want books. Let’s just say Amazon is best friends with my “impulsive side”. So yeah, baking cups! They come in fun colors and wonderfully bendy which makes it easy to make delicious items and peel off the cup without ruining said item. I haven’t actually baked in them yet because I have no oven. Which means I’ve been making rad little chocolate candy things. First I poured coconut butter in and then poured melted chocolate on top for little coconut cup snacks. 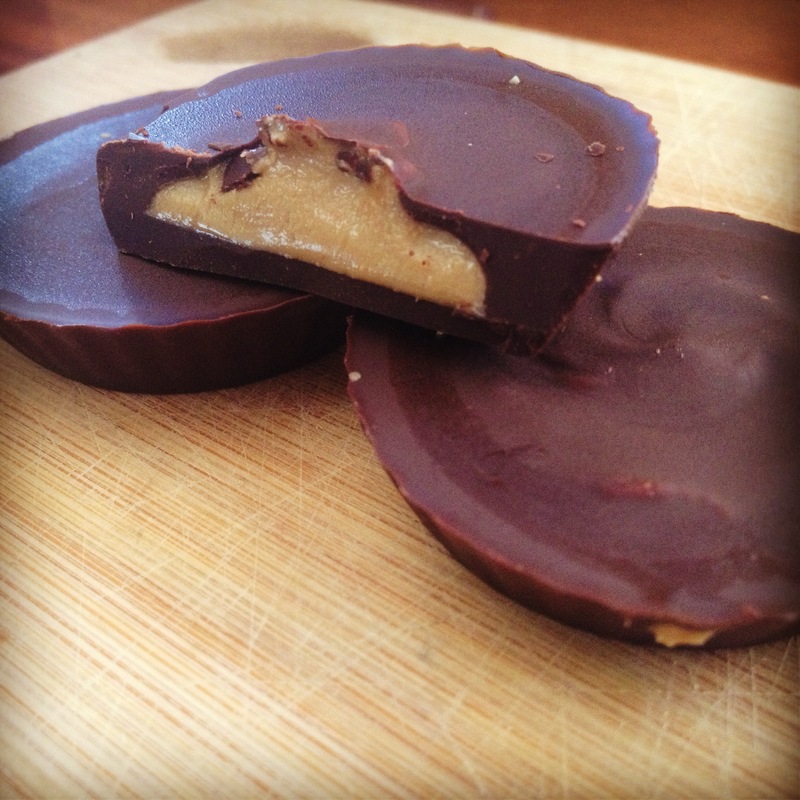 Then I had a flash of genius (as if this were an even remotely original idea) and decided to make nut butter cups. Super fun and delicious! In a double boiler, melt chocolate and stir in palm shortening. Spoon a tablespoon of chocolate into the bottom of the cups. Chill/freeze until set. take a tsp of sunbutter and spoon it into the middle of the cup. Flatten the sunbutter a bit. Pop the finished product out of the liners and eat joyously!